From the get go, be rest assured, this blog makes no pretense in pretending to understand anything which necessitates computer-based expertise. Such a claim would be more than a hoot…can even hear some nearest and dearest emitting quite a few chuckles, as this is being written. Indeed, this science/math based specialty is best left in the capable hands of software/hardware engineers – you know who you are – as they sift through all the highly technical mumbo jumbo aspects of the NSA. 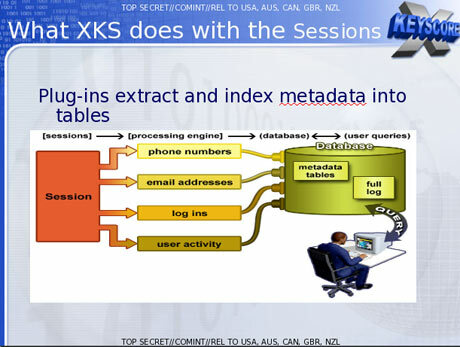 It is the most advanced, illegal (domestically-speaking) spying system in the world. 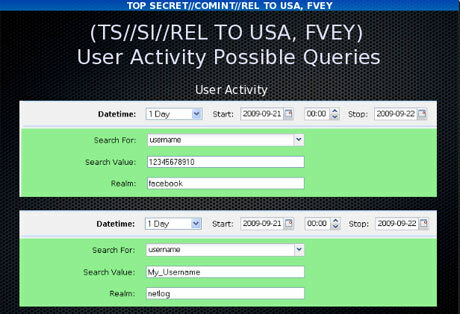 Most intrinsically, outside efforts (hack-wise or not…whatever it takes…beating NSA’s spies at their own game, as they dare pry, EN MASSE, into the privacy of Americans) to uncover the manifest abuses conducted under the purview of Obama Inc. may very well save the greatest Constitutional Republic in the world. Get cracking. Cat and mouse. Nevertheless, the expertise herein absolutely lies in geo-politics, Islamic jihad and the Mid East, including its politics, religion and culture. And it doesn’t take a computer scientist to wade through the non-technical muck, in turn, internalizing what constitutes unfettered spying. This is for sure. To be exact, when one is immersed in the dogged pursuit of those who dare to mess with liberty and freedom – chiefly, creatures belonging to the red/green alliance – anything smacking of squelching said freedoms, well, it doesn’t go unnoticed or non- pursued. In this regard, in tandem with all the explosive scandals due to Obama Inc., including NSAgate, as well as IRSgate, Benghazigate, DOJgate, Fast & Furious, etc, the notion that any move a U.S. citizen makes is open to monitoring, well, few Americans are okay with living in a police state…just ask the Catalanos (Michele Catalano, a long time blogger at PJ Media and elsewhere…holy smokes) and countless others, whose homes were invaded, all for the ‘crime’ of internet searches! 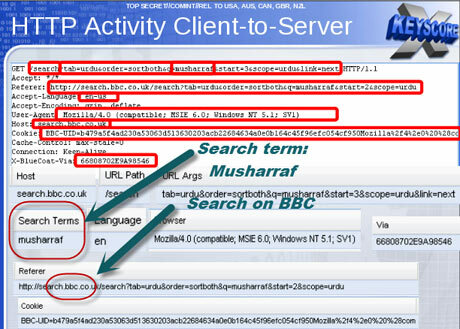 In fact, being that this blogger’s searches covers a gambit of hot range issues…burning up the long distance telephone wires in the process…can’t imagine how dangerous it would be to still live in the U.S. And this (very disturbing) sentiment is coming from someone who lives within missile range of Al Qaeda, Hezbollah, Hamas and many other jihadi terrorist groups! No kidding. 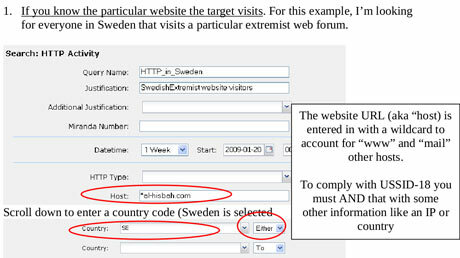 Most egregiously, the exception to their blanket spying is the Muslim American community, and their ‘hands off’ policy is evinced herein – Homeland Insecurity: The White House assures that tracking our every phone call and keystroke is to stop terrorists, and yet it won’t snoop in mosques, where the terrorists are. That’s right, the government’s sweeping surveillance of our most private communications excludes the jihad factories where homegrown terrorists are radicalized. IF Obama and gang truly believe that domestic spying on ALL Americans, yet excluding those who are the gravest threat – Muslim Americans – is going to pass muster, well, it is doubtful that patriots will continue to stand still. 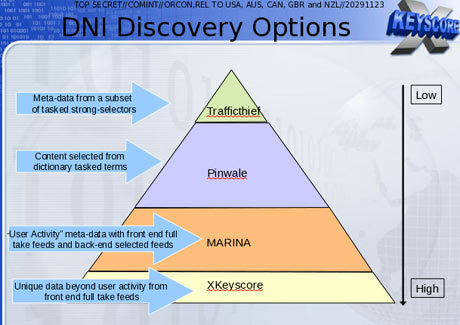 The NSA boasts in training materials that the program, called XKeyscore, is its “widest-reaching” system for developing intelligence from theinternet. The latest revelations will add to the intense public and congressional debate around the extent of NSA surveillance programs. They come as senior intelligence officials testify to the Senate judiciary committee on Wednesday, releasing classified documents in response to the Guardian’s earlier stories on bulk collection of phone records and Fisasurveillance court oversight. 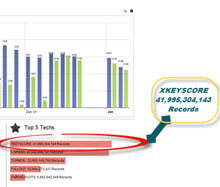 XKeyscore, the documents boast, is the NSA’s “widest reaching” system developing intelligence from computer networks – what the agency calls Digital Network Intelligence (DNI). 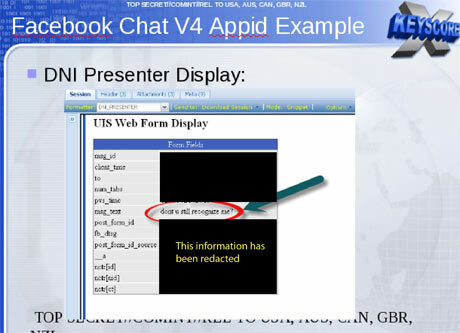 One presentation claims the program covers “nearly everything a typical user does on the internet”, including the content of emails, websites visited and searches, as well as theirmetadata. 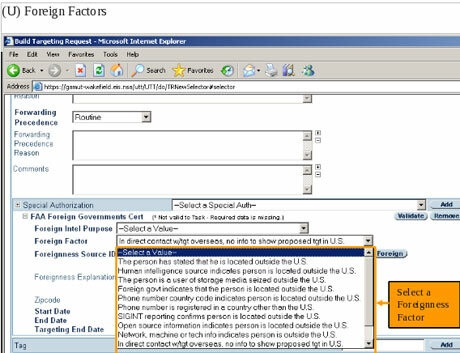 Under US law, the NSA is required to obtain an individualized Fisawarrant only if the target of their surveillance is a ‘US person’, though no such warrant is required for intercepting the communications of Americans with foreign targets. 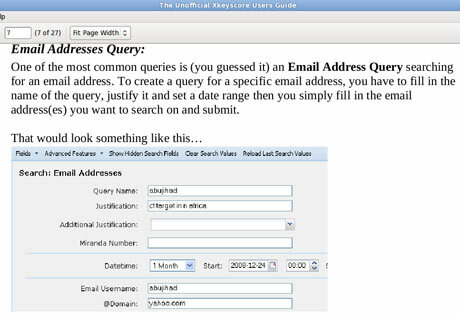 But XKeyscore provides the technological capability, if not the legal authority, to target even US persons for extensive electronic surveillance without a warrant provided that some identifying information, such as their email or IP address, is known to the analyst. 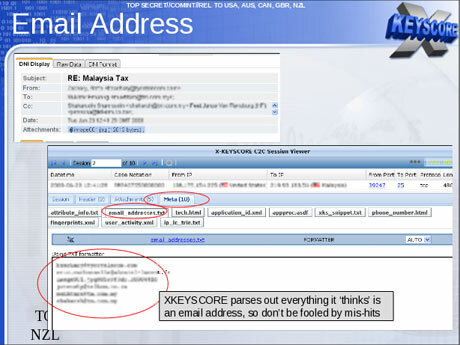 The purpose of XKeyscore is to allow analysts to search the metadata as well as the content of emails and other internet activity, such as browser history, even when there is no known email account (a “selector” in NSAparlance) associated with the individual being targeted. 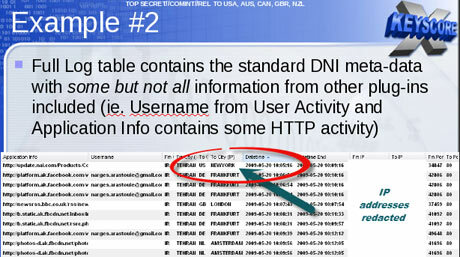 An example is provided by one XKeyscore document showing an NSAtarget in Tehran communicating with people in Frankfurt, Amsterdam and New York. Are you dizzy yet? Hope not. After all, despite their spin that FULL frontal spying is mandatory to keep America safe (just ask Boston’s victims if they feel safer, knowing full well that the Chechen bombers WERE monitored, but only once Russia’s security forces gave U.S. security the heads up…not due to anything the NSA uncovered) we know better. Certainly expect so. This entry was posted in Uncategorized and tagged a long time blogger at PJ Media and elsewhere, Benghazigate, Catalanos, Chechen bombers WERE monitored, DOJgate, expertise herein, Fast & Furious, hands off' policy, IRSgate, living in a police state, NSAgate, REd/Green alliance, Russia's security forces, XKeyscore: NSA tool collects 'nearly everything a user does on the internet' by Adina Kutnicki. Bookmark the permalink. 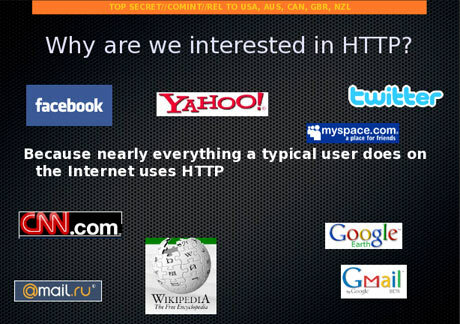 The NSA can hoover up anything it wants. Yes, it’s technically possible as long as they have access to the big data pipes at companies like Verizon who supply both telephony and data services. It’s even possible to store massive amounts of data by compressing it; I didn’t see that mentioned. 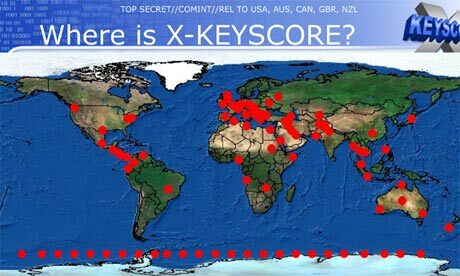 Why does anyone think the NSA needs that massive new data center in Bluffdale Utah?